Flip Out Mama: Shutterfly's Long Live Summer Photo Contest! Okay, if you love Shutterfly, and I know you do, you are definitely going to want to take a few minutes and enter this new sweepstakes that they have going on on their Facebook page. It just launched on Monday, and I am really excited about it! A trip for four to the BAHAMAS!!! And, if that's not enough, a professional photo shoot while you're there, to remember your vacation forever!! All you have to do is upload your favorite Summer photo and caption it based on the theme of the week! So easy! 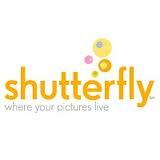 And, you get a FREE gift from Shutterfly just for entering!! The sweepstakes lasts for FIVE weeks, and you can enter at any time during that five week period, so get going! • Grand prize: trip for 4 to Bahamas, 4 nights, family photo shoot! I will receive a promotional product in exchange for my time in writing this post. All opinions and thoughts are 100% my own.